Integrated Technology is not new to the corporate world. It is, however, just now breaking into the mainstream. We can thank quality WIFI service for the emergence of integrated tech. First, we were able to connect to the internet wirelessly. Not long after, we could print via the WIFI connection. Now we are able to use an automated device as a virtual assistant. Taking it beyond general office productivity. Forbes published an article (found here) about technologies that should be integrated into a business. Out of the 5 they listed, a couple were very relevant. One of which was wireless conference rooms. Companies with large teams, collaboration meetings, and client visits, for example, find wireless conference and boardrooms invaluable. There is no need to plug into the LAN line or untangle the HDMI cord. With a wireless connection, your laptop or tablet is capable of connecting and setting up the room for a meeting or presentation. A control system such as this would need to be installed by a professional. Once it is installed, the time management throughout the business can improve exponentially. You have probably have heard of Skype or Go-To Meeting. If not, they allow you to administer a meeting via video software so those in the meeting can be in different locations and still see one another. Multiple participants can attend and even share their computer screen if necessary to present. VTC take this to another level as an enterprise solution. When installed and integrated with the companies network, it is a more secure and reliable connection. This has become a priority investment for corporations because the ROI is greater than that of travel time and expenses. Ahh, the Internet of Things (IoT). When a “thing” is software enabled becomes a connected device. Some good examples are smart refrigerators. They can now sync to your device and tell you what you need to stock up on at the grocery store. Security cameras can now display video streams to your phone no matter where you are. The most common IoT device is Alexa or Google Home. They allow you to interact with them as they interact with you and other devices on the system. IoT, in reference to integrated technology in business, is more complex than downloading an app to your device. On the same note, it is a game changer when it comes to productivity and time efficiency. 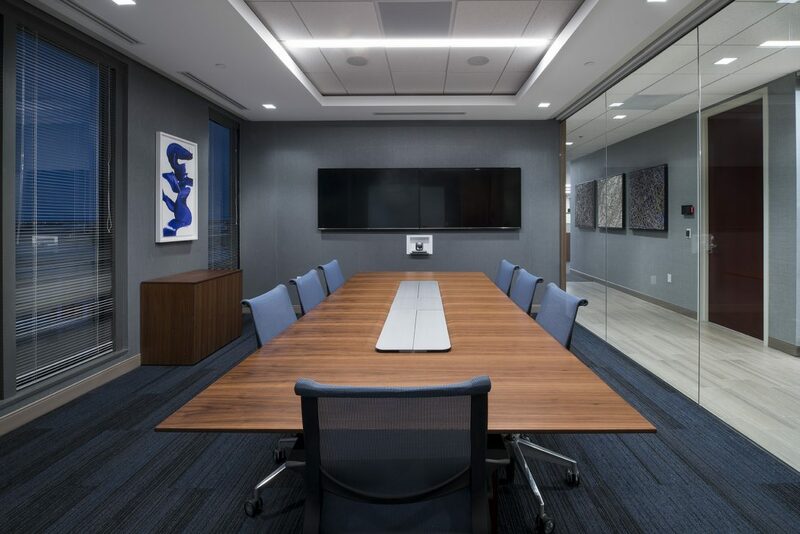 A boardroom may have 2 monitors, projector, projector screen, VTC camera, electric shades and dimmers for lighting. Taking that into consideration, there could be up to 7 remote controls. With a complete control system, ALL of those devices can be connected to a single tablet, controlling the entire room. This is the ultimate in integrated technology! The touch of a single button and the room is set for a presentation or a VTC meeting. Really the possibilities are endless.